Gay’s first professional appearance was as a Juvenile performer in Pantomime at Coventry Hippodrome. She performed in the next season there followed by a season at the Manchester Hippodrome with the Betty Fox Babes. She then taught dancing for the Betty Fox School of Dance in Edgbaston, Birmingham before becoming a Tiller girl at the Theatre Royal Birmingham. Alongside the Dance training Gay also trained as a Soprano, using the name Gabrielle Webb. Her first Summer Season was in Rhyl, North Wales, performing with the late Billie Manders and his famous “Quaintesques”. Many successful Summer Seasons were to follow along with many popular Revues, Pantomimes playing Principal Boys and Girls, and also performing in many Variety shows all over the UK. Her favourite role was playing the leading part of Adele in “Gay Rosalinda” the musical comedy version of Johann Strauss’ Die Fleudermaus. Gay named her daughter Adele because of the enjoyment she found playing the role. 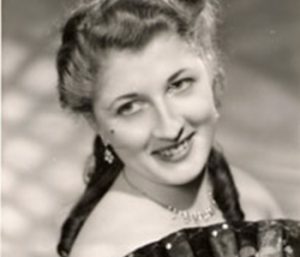 Her rendering of the famous “Laughing Song” won Critical acclaim all over the UK, in top venues including Wolverhampton Grand, Edinburgh Empire, Coventry Hippodrome, Liverpool Royal Court, Manchester Palace, Blackpool Opera House and the Sunderland Empire to name but a few. On the 4th of January 2009 Gay Harris was awarded an MBE for her services to Dance and the Community. Adele is the daughter of Gay Harris and now runs “The Gay Harris Dancers”. She started dancing with her mum at the age of 4 and then continued her training at Merseyside Dance and Drama before taking up a full time professional career in theatre. 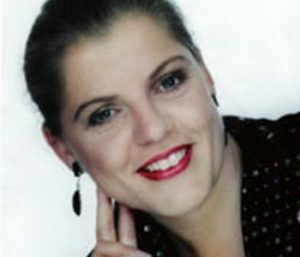 She worked extensively abroad in Madrid, Majorca, Portugal and Greece and in 1986 did a tour of the Falkland and Ascension Islands with her own act. She returned to this country in 1991 appearing in Summer Seasons in Colwyn Bay, Llandudno, Scarborough, Whitby and Bridlington appearing with Frank Carson, Mick Miller, and Linda Nolan. Adele has worked in many Pantomimes including playing Prince Charming in a Production of Cinderella at the Sunderland Empire along side Mark Little (Joe Mangel – Neighbours), Rebekah Elmaloglou (Sophie – Home and Away) and Alex Papps (Frank – Home and Away), also playing Prince Charming at the Queens Theatre Barnstable. She also played Prince Florizel in a production of Sleeping Beauty again at the Sunderland Empire. Adele has also played Aladdin in Wolverhampton in a production of the same name incidentally she also choreographed this production. Adele also appeared in a Production of Cinderella at the Pavilion Theatre Rhyl along side Gayle and Gillian Blakeney (Alessi Twins – Neighbours). She has also appeared up and down the UK as a Magicians Assistant appearing on the same bill as Ken Dodd and Gary Wilmot. Adele has taught for Stage Coach Stage Schools in Bolton, she was also the dance teacher at Youth Pavilion Theatre Group (YPT) and was Jazz Tutor for Swansea Grand summer school as well as running her own summer school “Stage Crazy” in Blackburn, she has also taught at Congleton Dance and Health Studio. Choreography engagements include YPT Productions of “The Boyfriend” and “The Wizard of Oz”, Rhyl and District Operatic Society productions of “Brigadoon” and “Annie Get Your Gun”, Production of “The Railway Children” at the Pavilion Theatre Rhyl, also the award winning production of “Midsummer Nights Dream” at Theatre Clwyd and Bodelwyddan Castle. Adele has also been responsible for the choreography for various fashion shows and of course all of the Gay Harris Dancers Productions. Adele has appeared in Coronation Street, Brookside, Hollyoaks, Emmerdale, and the ITV Granada Drama series Reckless. Dan started dancing at the age of 7 and went on to train professionally at Phil Winstons Theatre Works in Blackpool. He studied a variety of core disciplines in dance and musical theatre and achieved his associate I.D.T.A Modern Jazz teacher qualification. Upon graduating Phil Winstons Theatre Works Dan sailed the seven seas traveling all over the world including, Asia, Australia, Alaska, the Mediterranean and the Caribbean (but to name a few) onboard some of the worlds most luxurious cruise lines. These included Cunards Queen Mary 2 and Queen Elizabeth, Celebrity Cruises and Ocean Village One and Two working for Qdos Productions and MBP Productions. 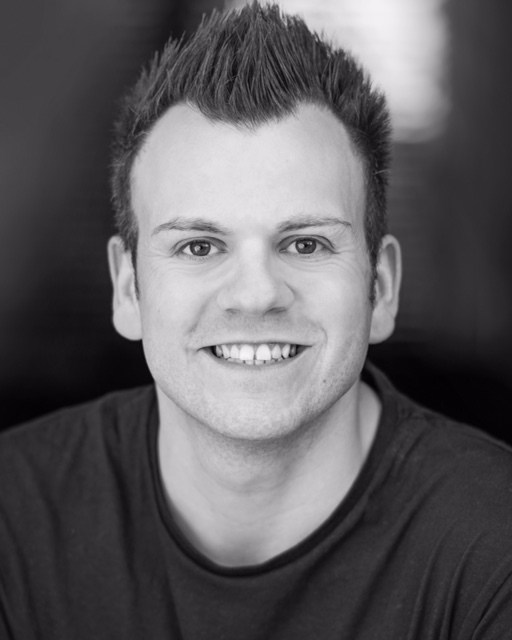 Whilst on dry land Dan has performed in numerous pantomimes all over the UK for Pantoni Pantomimes and Geordie Panto Company (formally know as Newcastle Panto Company). He performed in theatres such as The Octagan Theatre (Yeovil), The Hull New Theatre, The Gala Theatre (Durham), Tyne Theatre and Opera House (Newcastle) and most recently Gateshead International Stadium. Dan has also performed in ‘Queens of Magic’ in the Horse Shoe Bar at Blackpool Pleasure beach as part of there Showzam Magic festival which is held every year and toured with Viva Productions around all the Butlinsresorts across the UK. Last year he spent most of the year working as a member of the Potters Theatre Company who produced shows for Potter Leisure Resorts, Norfolk before returning to Newcastle for his 4th year working for the Geordie Panto Company. Dan has experience in teaching dance having previously taught at Stage Coach and Theatre Train. Dan is excited to be teaching for The Gay Harris Dancers, passing on his knowledge and experience of the performing world with the stars of the future.